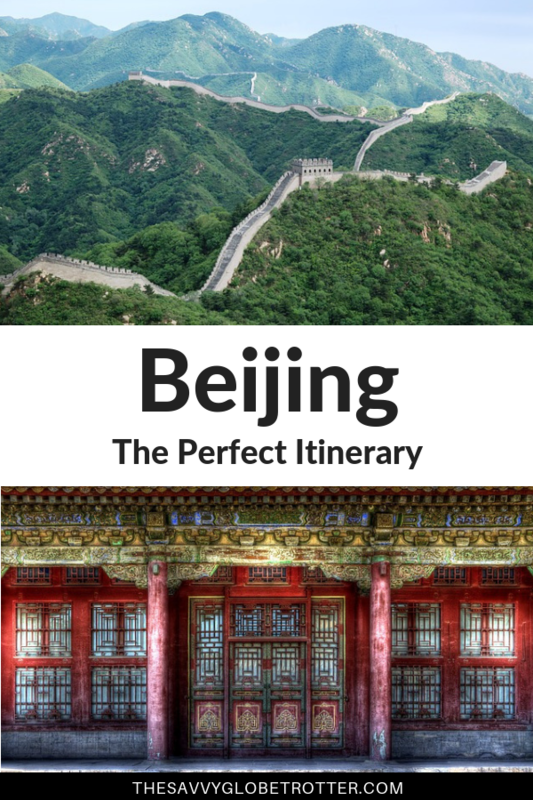 Planning a trip to Beijing, China? Read on for a complete 3 day Beijing itinerary including the best things to do, where to eat and drink, where to stay and other essential tips. The capital of China is home to some of the most popular landmarks in China and indeed the world. Beijing still holds it’s historic roots but at the same time, is continuing to rapidly develop and grow. 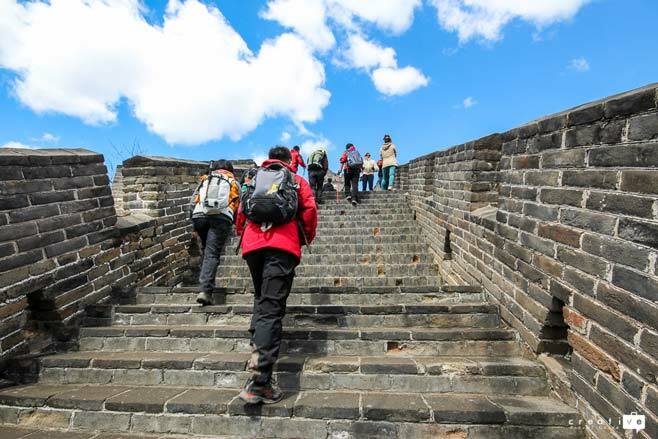 Plus, China have now introduced a 72 hour and 144 hour visa-free policy, to allow travellers to use Beijing and other popular Chinese cities as stopover destinations. So let’s jump in! No trip to Beijing is complete without a visit the Tiananmen Square and the Forbidden City. Head here early to avoid the crowds and learn more about the history as you walk around the expansive Ming Dynasty palace complex. The palace opens at 8.30 am and costs 60 RMB for entrance. Allow 2-3 hours to explore the complex fully and try to visit on a week day. After a morning exploring the palace, you can either jump in a taxi or walk the 20 minutes to Wangfujing Snack Street. This is one of Beijing’s most famous snack streets, offering the most unusual food on a stick you can think of. You haven’t visited China until you have attempted to eat a starfish or a fried scorpion. Next up is my favourite place in Beijing; the Temple of Heaven. From the snack street, head to Dongdan metro station and jump on the Subway line 5 down Tiantan East Gate or get yourself a Didi or taxi for the journey. From the Temple, head to Quanjude Restaurant – arguably the best Peking Duck restaurant in Beijing. Order the famous dish and enjoy your evening in one of the most established restaurants in Beijing. Note: a meal here will cost around 100RMB per person. The Great Wall is on many bucket lists and for good reason. 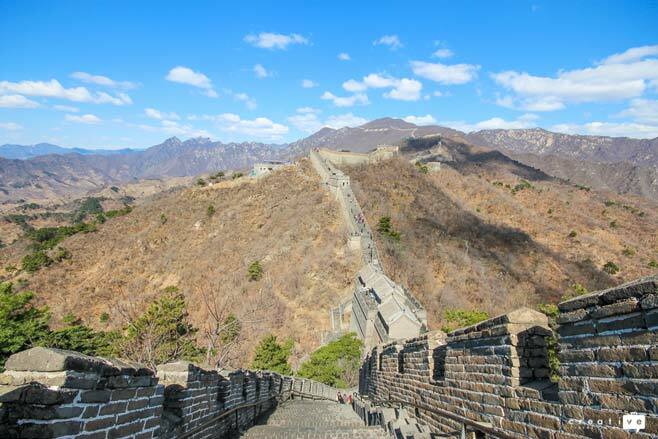 However, did you know there are several sections to the Great Wall? We wrote a full guide to visiting the Great Wall, which talks you through each of the sections, how to get there and what prices to expect. 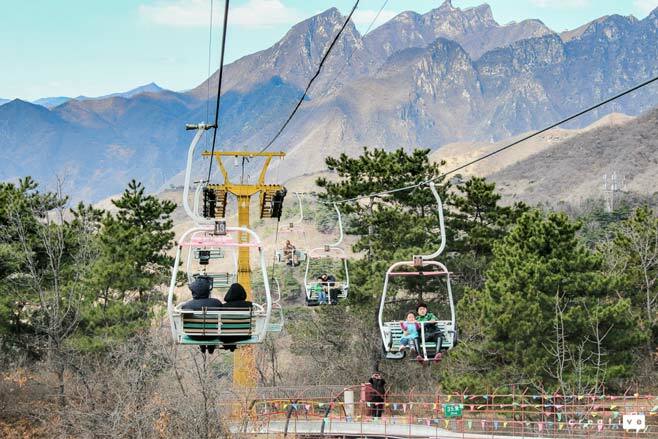 Personally, the Mutianyu section is our favourite section because it is the most restored but often the quieter section of the wall whilst also being easily accessible – you can catch a cable car to the wall itself; saving you energy to walk along the walk and take in the breath-taking views. As with most places in China, the Wall can get busy so head here early. Tour buses arrive around 10.30 am, so opt for a driver to take you earlier to get the wall to yourself. Allow most of the day for the Great Wall, but if possible, try to head back before 5pm… the traffic heading into the city during rush hour can be pretty horrific. Once back in the city, you have a few options. We love to head to the Hutong bars and enjoy a few drinks in the unique and unusual bars offered. If you’re looking for a late night, head to Sanlitun to enjoy the bars and nightclubs; they even have world renowned DJ’s such as Tiesto. Plus, there is a Hooters – you really can’t go wrong! If you are visiting with family, you may wish to watch a Kung Fu Show at the Red Theater or check our an acrobatic show at Chaoyang Theatre. You can even enjoy some shopping as most malls and shops open to late in China. Even you timed it well, you can even see some Chinese football – a very different experience than the Premier League in the UK. An early start will allow you to get to the Summer Palace before the tour groups. A summer retreat for the imperial family, this is a beautiful palace to visit, no matter what time of the year. Entrance costs 30 RMB and the palace opens at 6.30 am in the summer months (April to October) and 7 am during winter (November to March). After walking around the Palace all morning, you are likely going to want to find a good place to relax for lunch. As the super cool person I am… I love heading to 616 Bldg A in Soho, home to the best themed café ever – Central Perk. You guessed it, a FRIENDS themed café with the café and apartment sets reconstructed pretty accurately plus really good cake and Friends on repeat. Once fully refreshed, head to Lama Temple and enjoy an afternoon at this colourful Tibetan Buddhist Monastery. The nearby hutongs offer a variety of bars and restaurants if you want a quieter evening or you may choose to head to another food street such as the Niujie Muslim Snack Street or Guijie Ghost Street. A recent addition to Beijing which we haven’t yet checked out but that looks pretty cool, is the world’s first ever robotic hotpot restaurant. Hotpot is one of China’s most popular dishes and Beijing has just opened it’s doors to a new Haidilao restuarant, where robots take your order, prepare and deliver raw meat and fresh vegetables for you to then create your soups on your tables. Sanlitun – This is a great area for those looking to enjoy the nightclubs and bars of Beijing. The Workers Football Stadium is also in this area so try to catch a game whilst you’re in the city. 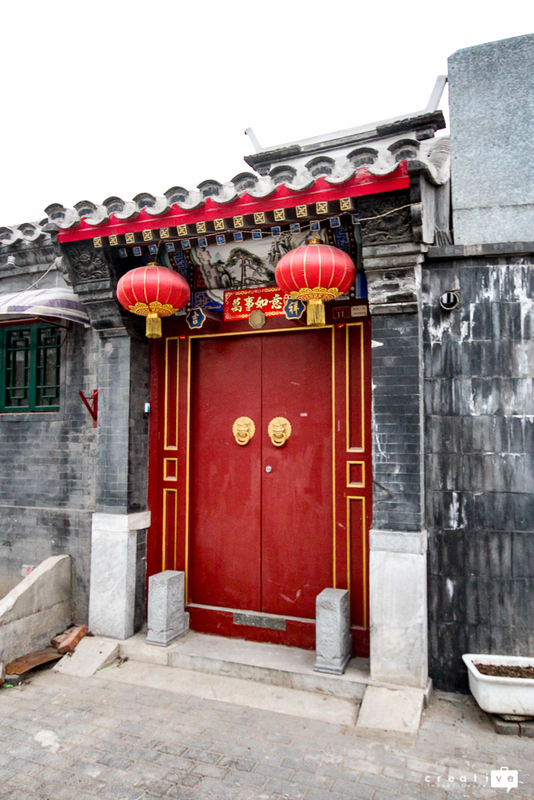 Dongcheng District – This is my favourite area to stay, near the Lama Temple. The subway is nearby to help you get around the city but you can also stay in one of the authentic courtyards. Plus, in this area you can relax and enjoy some low key bars too. Wangfujing – This is a bustling area in the heart of the shopping district. If you are short on time, this is the area for you because it’s near Forbidden City, Tiananmen Square and the Wangfujing Food Street. 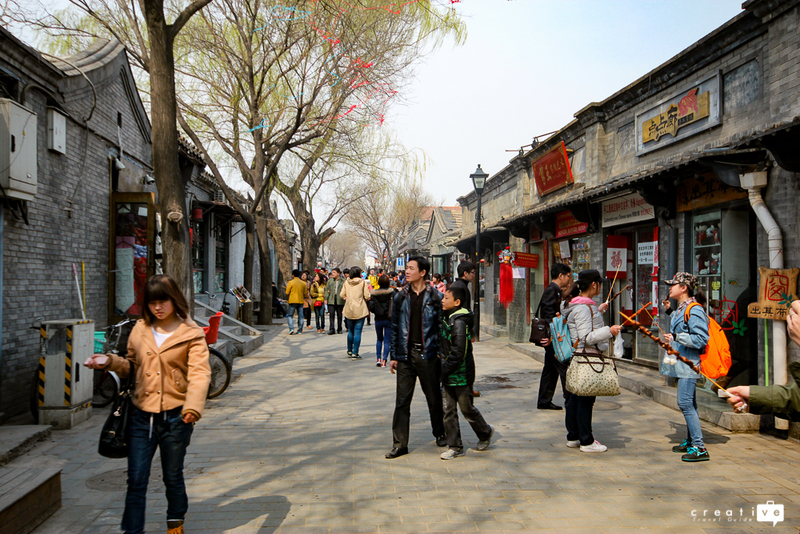 Dongzhimen – Another popular area if you are looking to eat at the some of the best Beijing restaurants. Download a VPN before your visit, this will help you access websites such as Facebook and google. Always have your hotel address in Chinese – most hotels will have cards at reception with the address in Chinese, just take one of these and use when travelling around in taxi’s. Taxi’s are cheap and can be hailed from anywhere – if they have a red light in the window, they are reserved by someone else so won’t stop for you. They also can’t stop on a busy road. Try the local food, it is cheap and delicious! If you don’t like it, there are plenty of western options in every area of China. Speed trains in and out of Beijing are aplenty, you can get to places like Xi’an and Shanghai in just a few hours – the cTrip app can help you book tickets online with ease. I hope you have a wonderful time in China – we post regularly about living in China and travelling in China, so visit us at Creative Travel Guide for some more China posts. My name is Katie and my husband and I have lived in China for almost 2 years now. You can follow our journey on Youtube and Instagram too. Disclaimer: This article contains affiliate links. 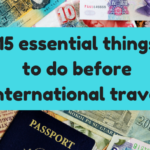 The Savvy Globetrotter travel blog is a participant in the Amazon Services LLC Associates Program, an affiliate advertising program designed to provide a means for me to earn fees by linking to Amazon.com and affiliated sites. 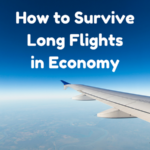 Visiting the Galapagos Islands – when is the best time to travel? I had a 10 hour layover there back in December and decided to go see the Forbidden City. It was freezing. It was either that or hire a driver to take me to the wall. I’m hoping to return to Beijing and spend at least a week! You had me at snack street! I’ve not yet been to Beijing so really appreciate this post. I know little of the temples there, but the Great Wall would be a must see. That’s a very crisp and no-nonsense itinerary for 3 days in Beijing. I really liked it as it includes all the important sites to visit. Thanks for the tips. Getting VPN prior visiting Beijing is surely a good idea. Also, carrying the hotel address in Chinese or just carrying the hotel card while getting around is beneficial. Will keep these in mind. I always thought I’d need a lot more than 3 days to explore a city as massive as Beijing. However, this article completely changed my perception. With good planning and the right tips, experiencing Beijing in 3 days seems completely possible.